HARD Red Rocks will return for it’s fifth year at the famed Red Rocks Amphitheatre on 28 July, with Dillon Francis set as the headlining act. 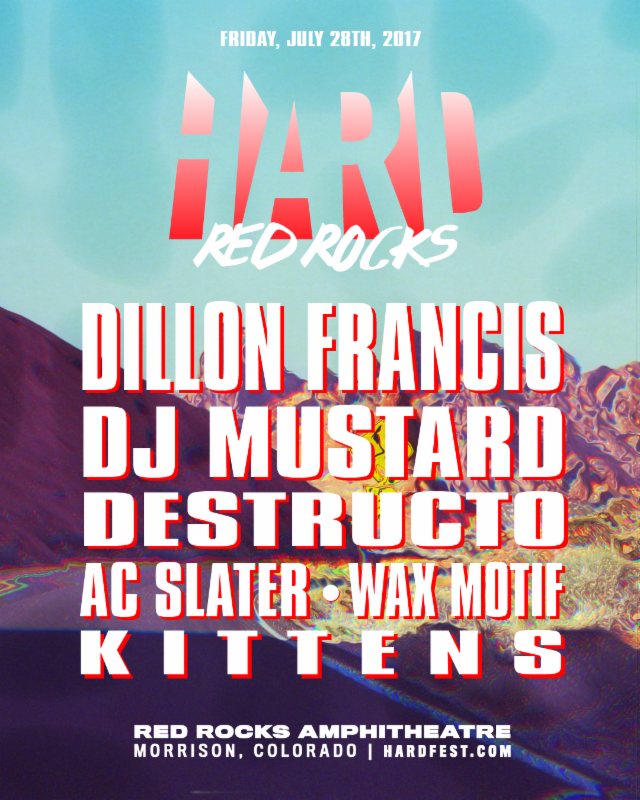 Supporting Francis at Red Rocks will be DJ Mustard, HARD founder Destructo, AC Slater, Wax Motif, and Kittens. The Morrison, Colorado stop will be a peg in the ‘Road to HARD Summer’ tour leading up to the HARD Summer festival in Fontana, California on 5-6 August. Check out the full list of artists announced below.